El Chapo Is A Step Closer To U.S. Extradition, After Judge Denies Appeal : The Two-Way The lawyer representing the head of the powerful Sinaloa drug cartel will seek to have Mexico's Supreme Court review the case, local media report. Joaquin "El Chapo" Guzman — seen here in a photo taken during his recapture on Jan. 8, 2016, could be in the custody of U.S. officials by early 2017. Mexican drug lord Joaquin "El Chapo" Guzman could be brought to face trial in the U.S. by early next year, after a federal judge in Mexico City refused to stop his extradition process. El Chapo is now down to his last appeals. The judge rejected five appeals from El Chapo, and his legal team is expected to appeal once again within 10 days of receiving formal notification. A lawyer representing the head of the powerful Sinaloa drug cartel will seek to have Mexico's Supreme Court review the case, El Diario reports. The decision comes days after the federal judge who was overseeing El Chapo's case was assassinated during his morning jog near his home outside Mexico City. 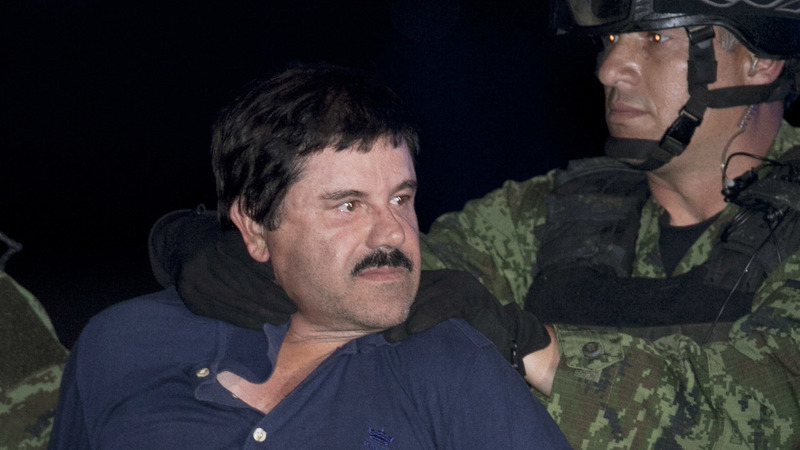 El Chapo has been notoriously difficult to keep in official custody. After his most recent escape in the summer of 2015, he was recaptured in January. The U.S. is seeking to extradite El Chapo so he can face a range of charges tied to at least six American states. He's accused of crimes that include drug and arms trafficking, money laundering and murder. The extradition process for El Chapo gained initial approval in Mexico five months ago; last week, Mexico's National Security Commissioner Renato Sales said that the crime boss is currently under special surveillance and could be sent to the U.S. by January or February.